NVIDIA has published a new graphics driver in beta version that brings improvements for Splinter Cell: Blacklist. R326.80 is an OpenGL 4.3 driver and exposes 301 OpenGL extensions like R326.19. 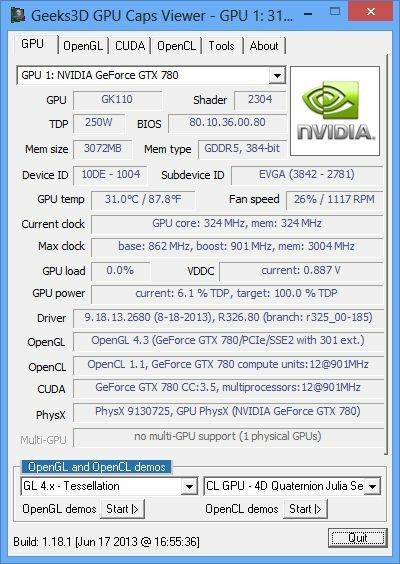 Nvidia has released GeForce 327.23 WHQL drivers.